Fall is just around the corner, and with it is the excitement of fresh-picked pumpkins, apples, and crisp autumn breezes. Fall is a time of magic and change; a prelude to a sparkling winter. I’ve always loved fall (I’m sure you can guess that from my opening sentence), and as a fun change of pace I thought I’d write about the ideal activities for each Myers-Briggs® personality type this fall. You may like more than one of these activities, or you may like all of them. Not sure what your personality type is? Personality Hacker has the most accurate free online personality indicator I’ve been able to find. Click here to take it. (This article contains affiliate links. I only recommend products I truly believe in). According to the MBTI® Manual, the favorite leisure activity of the ISTJ is “watching sporting events”. Fall is the perfect time to cheer on your college team, cozy up with a bowl of spicy chili, and enjoy the company of close friends (yes, even introverts enjoy being with close friends and family members!). ISFJs enjoy capturing memories that they can go back to and re-experience again and again. They love seeing the details of their loved ones forever commemorated in photo form. So gather the family, get out in those beautiful fall leaves, and create some memories you can enjoy for years to come! 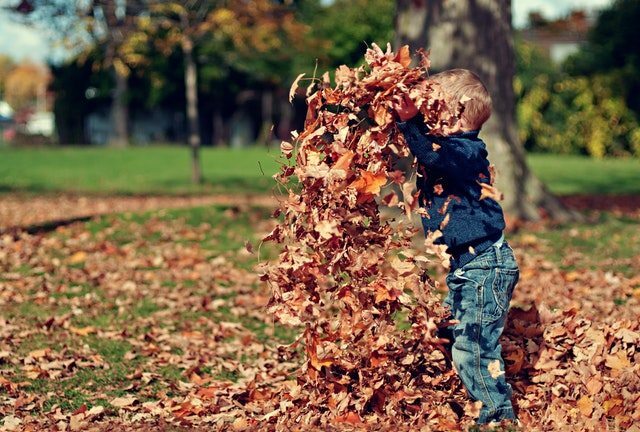 Check out this link if you want some creative autumn photo ideas! ESTJs are amazing at organizing events, delegating tasks, and helping out in their communities. They’re the perfect go-to people when you want to make sure an event is smoothly run and efficiently planned. So check out your community calendar and find events that you can participate in and manage; chances are, your neighborhood will be grateful for the help! ESFJs are excellent planners and organizers, and they love to use their skills to create memorable traditions and family events. The fall is a perfect time to try out some new Thanksgiving recipes, plan party games, and use your amazing hosting skills to bring together family and friends in celebration of the season and nature’s abundant blessings. There’s no better way to enjoy the changing seasons than to go zip-lining over the mountains and lush forests. ISTPs will love the isolation and exhilaration of this solo recreational activity! So check out this list of the top 10 zipline parks in the US and fill your coming weekend with aerial excursions! ISFPs are highly attuned to the aesthetics of the autumn season. They will enjoy walking through the crisp leaves and examining the changing colors, biting into bright red apples, and sipping spicy cider while snuggled in a cozy, oversized sweater. If you’re an ISFP, fall is about relishing the experience, sights, sounds, and textures of the season. Sometimes that means etching leaves, other times it means experimenting with a new pumpkin spice recipe, or it could mean gathering your closest friend for a Halloween movie marathon. If brandishing a paintball gun and riding a zombie attack vehicle to fight the undead isn’t the perfect ESTP fall activity, I don’t know what is! This heart-racing adventure is the perfect activity for the thrill-seeking, fast-thinking ESTP. You may have to search a little while to find an event near you, but various small towns across the US are starting to host these scary events! For now you can check out the Trail of Terror in Minnesota or Roca’s Berry Farm in Nebraska. As “the entertainer” personality type, ESFPs know how to make the fall exciting and unforgettable! You can bet that ESFPs will have the best games, the best impromptu entertainment, and be the friendliest hosts out there. ESFPs don’t always enjoy planning ahead, so if you want some easy last-minute ideas for a spontaneous event, check out this list of 31 easy Halloween hacks! For the INTJ, exploring the wilderness while pondering the deeper significance and meaning of life is ideal. Robert Frost’s poems are dense with meaning and lyrical beauty and symbolism. So find a quiet spot to take in the changing of the seasons and fill your mind with the beauty and depth of some excellent poetry. For the INFJ, contemplation and tranquility are the order of the day. Find a quiet, scenic route you can travel while listening to peaceful, autumn-themed music. Let your mind wander, try out different roads and pathways, stop to climb a tree or hike a path. The point is to let your intuition guide you on your fall adventure! ENTJs desire challenge and productivity in their fall routine. In fact, in a study related to type and leisure activities, the only activity ENTJs voted for was exercising or working out. Rock climbing gives the ENTJ a perfect vantage point for challenging their stamina while enjoying the crisp autumn air and avoiding the pesky bugs that prevail in summer months. ENFJs are driven to make a positive difference in the world, and the fall is a perfect time to do that! Whether it’s baking seasonal pies for your local nursing home, bringing pumpkin spice lattes to your co-workers, or helping in a soup kitchen, the fall is a perfect time to embrace your naturally giving spirit! According to the MBTI® Manual, one of the favorite INTP leisure activities is playing video games. Thankfully for them, this fall is when many highly-anticipated games are finally making their appearance. From Star Wars Battlefront II, Assassin’s Creed Origins, and Call of Duty WWII, there will be no shortage of thrilling gaming experiences to be enjoyed. If you want to add a fall component, just throw in a bowl of candy corn to snack on while defeating the bad guys! INFPs love the tranquil, peaceful nature of autumn, and they also tend to be major book lovers. The fall is a perfect time for them to experience new literary escapes. 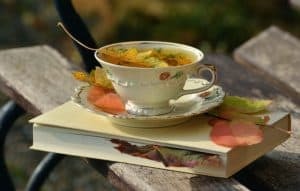 So cozy up in your warmest sweater, put some apple cider on the stove, and enjoy the refreshing smells and feelings while you venture into a new or favorite book. ENTPs will enjoy the social aspect of a murder mystery dinner while simultaneously being able to put their reasoning powers to the test! These events are often held at gorgeous locations during the fall; places where you can not only practice your detective skills, but enjoy some incredible fall scenery at the same time! Some of these murder mystery dinners are even held on trains that will whisk you through picturesque (and sometimes spooky) fall landscapes! ENFPs are known for their enthusiasm and charisma, but they also have a lot of depth and curiosity that drives them. They want to discuss the “why’s” of the universe and brainstorm the various possibilities and opportunities that life has to offer. So plan a bonfire, roast some marshmallows, and write some deep/abstract/theoretical questions on slips of paper and challenge everyone to discuss them! Do you like these activities? Do you have any ideas to add? Share your thoughts in the comments! Find the Perfect Book Based on Your Myers-Briggs® Personality Type! What Terrifies You? 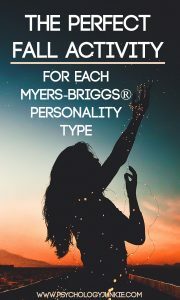 Based on Your Myers-Briggs® Personality Type! I like the idea of listening to Vivaldi, but I think I would prefer a bike ride rather than a car. Of course, it would depend on the weather, but I do have an endless supply of sweaters and gloves. I guess I would just like to take the scenery in, more slowly. Shooting on zombies in a tree in listening Nisi Dominus with a beautiful camo that celebrate the colors, tastes, and textures of fall.